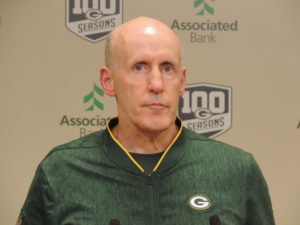 Green Bay Packers President & CEO Mark Murphy said several weeks ago that the teams search for a new head coach wouldn’t center around quarterback Aaron Rodgers approval, but they would welcome the quarterback’s input. But who was Murphy kidding. 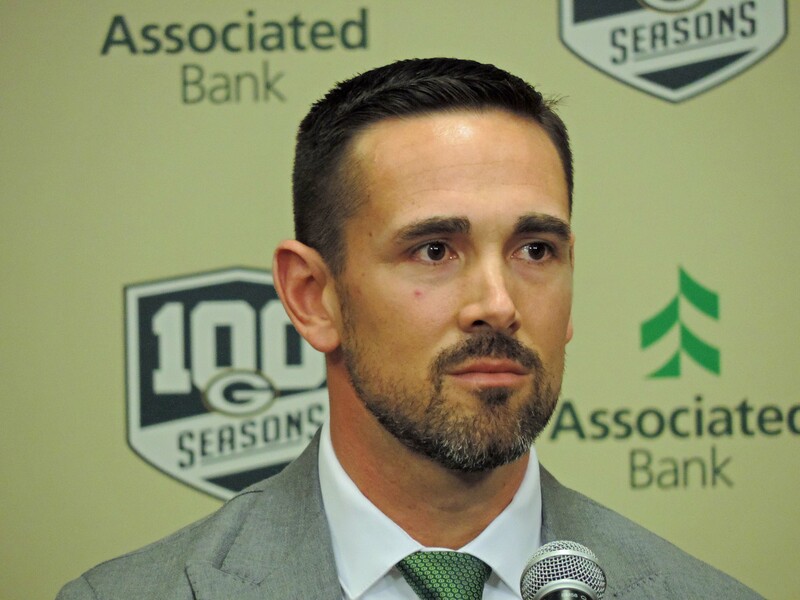 The number one job for new 39-year-old head coach Matt LaFleur is to get the Packers back into the playoffs with a chance to win championships. To do that, LaFleur needs to figure out how to get Rodgers to return to the elite form that he possessed not to long ago. Murphy and his management team know that as well. Even before he offered the job to LaFleur on Monday, general manager Brian Gutekunst was told to call LaFleur to have a discussion. 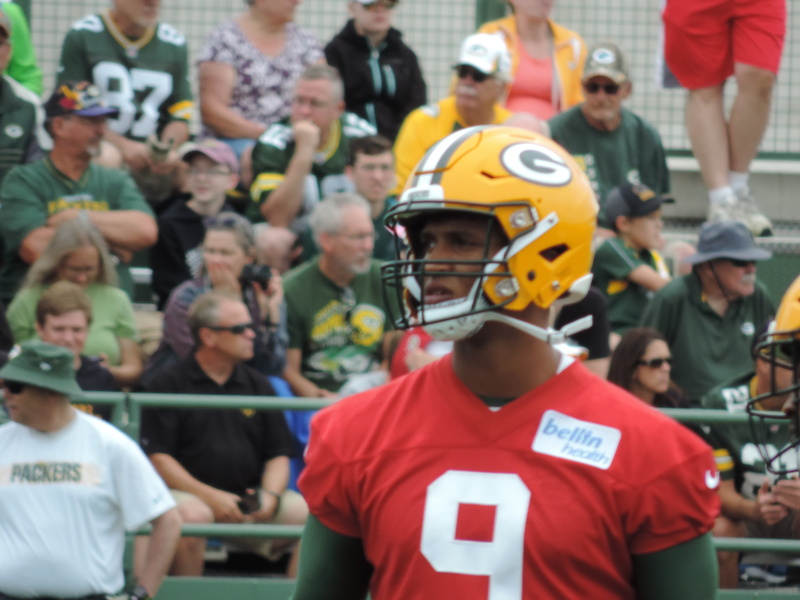 That phone call was the start of the relationship building process between the two and it will need to grow leaps and bounds in the coming months as the Packers push towards the 2019 season. With nothing left to play for, the Green Bay Packers capped off the 2018 season with a 31-0 loss to the Detroit Lions in the season finale at Lambeau Field. The Packers lost quarterback Aaron Rodgers to a concussion early in the second quarter and any hopes of pulling off a comeback came to a quick end. Concerning though is the fact that the Lions entered the game with just as many injuries as the Packers and just five wins. Yet they didn’t lay down, sweeping the season series with the Packers for the second straight year. The Green Bay Packers’ three-game losing streak is history. Aaron Rodgers threw a pair of touchdown passes as the Packers build a 34-7 lead and held on for a 34-20 victory on Sunday at Lambeau Field. 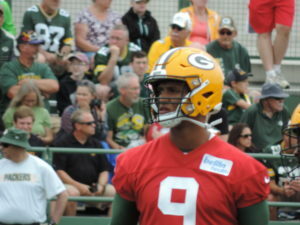 Aaron Jones also added 78 yards rushing and a touchdown for the Packers, while Bashaud Breeland returned an interception 22 yards for a touchdown. The Packers improved to 5-7-1 with the victory, giving coach Joe Philbin his first victory as interim head coach. Matt Ryan passed for three touchdowns for Atlanta, but two of them came in the fourth quarter with the game out of reach. Julio Jones finished with eight receptions for 106 yards and two scores for the Falcons, who have now dropped five-straight games. The Packers improved to 5-1-1 at home this season and will travel to Chicago on Sunday to face the Bears. 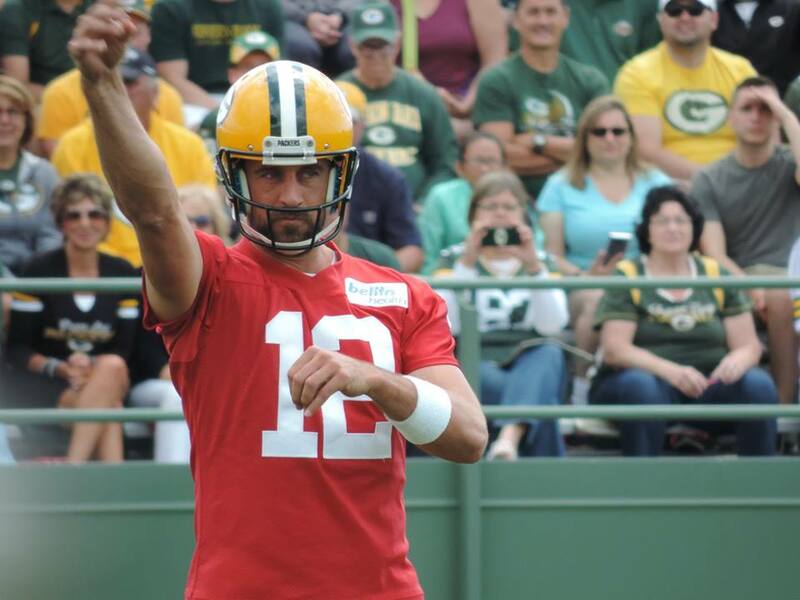 Aaron Rodgers has now thrown more consecutive passes without an interception than any quarterback in NFL history. 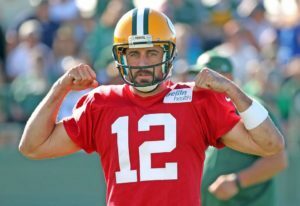 Rodgers finished 21-of-32, breaking Tom Brady’s record of 358 passes without a pick from 2010 to 2011. The Green Bay Packers dropped their sixth straight road game this season, falling to the Minnesota Vikings 24-17 at U.S. Bank Stadium on Sunday night. The Packers (4-6-1) now need to win all five of their remaining games and get help to find a spot into the post season playoffs. 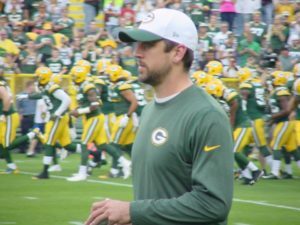 The Packers were quick to start again, jumping out to 7-0 and 14-7 leads, but like previous games, the Packers fell apart. Nothing seemed to go right for the Packers the rest of the way. The Seattle Seahawks fumbled the football away on their very first play from scrimmage. 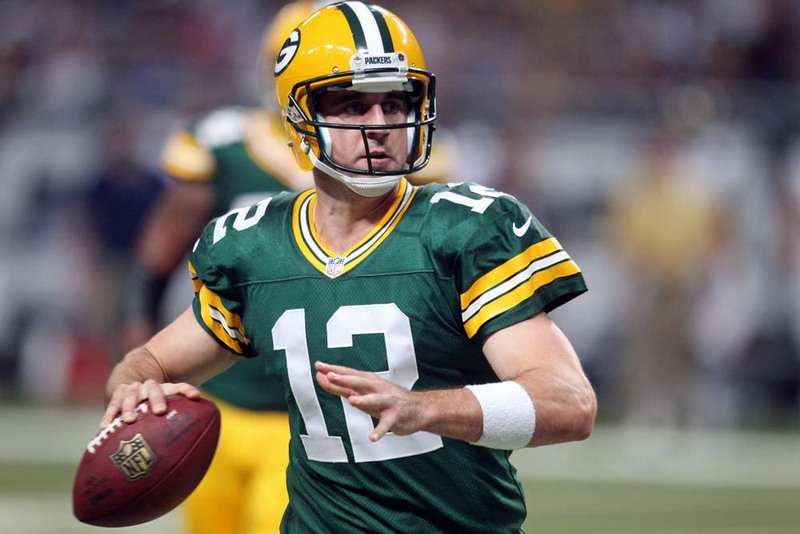 The Packers recovered and jumped out to a 14-3 lead. Green Bay would lead 21-17 at halftime, then came the disappearing act. The Packers managed just three points and three first downs in the second half and fell to the Seahawks 27-24 at CenturyLink Field. After a Mason Crosby field goal, the Packers punted five straight times and walked away with their 5th (0-5) road loss this season. 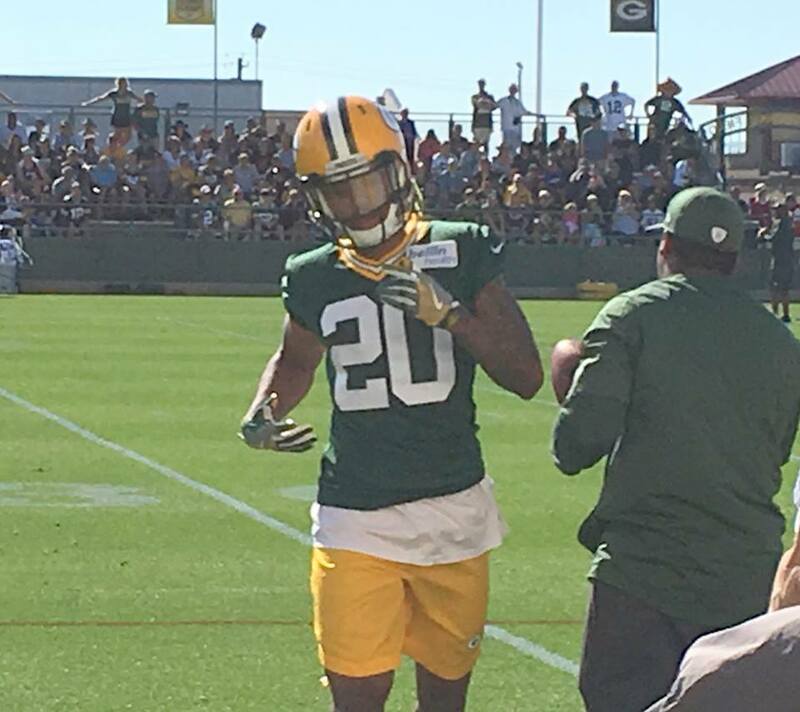 Aaron Rodgers threw short at the feet of Marquez Valdes-Scantling on third-and-2 near their own 30-yard-line. 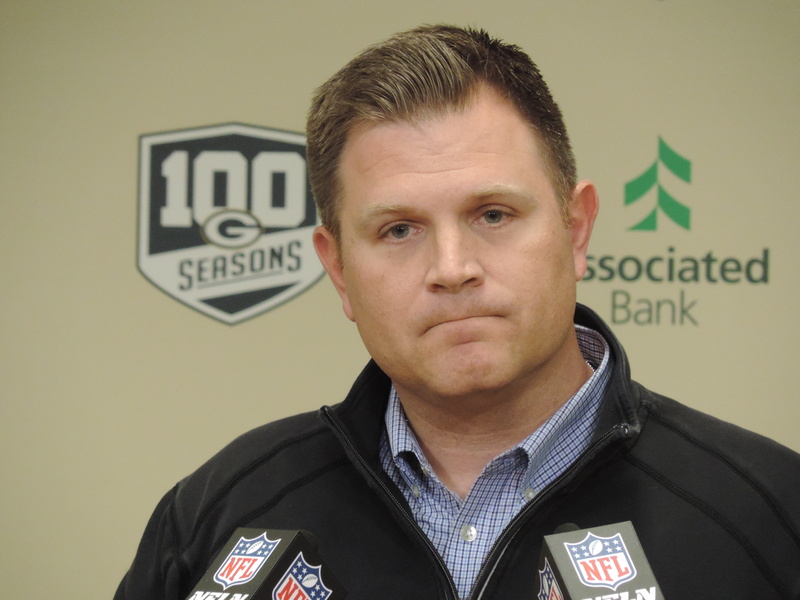 The Packers opted to punt the ball away more than four minutes to play and never got it back. 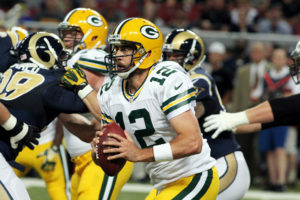 Aaron Rodgers completed 21 of 30 for 332 yards and two touchdowns, but both of the scoring strikes came in the first half. The game was closer than the final score, but the New England Patriots scored 14-straight points in the fourth quarter to knock off the Green Bay Packers 31-17 at Gillette Stadium in Foxboro on Sunday night. With the game tied 17-17 and the Packers driving, Aaron Jones fumbled the ball away. The Patriots went on to pull out the win. The Patriots, who won their sixth straight game, used the trick play to outfox the Packers. The Packers defense played well enough to win for the most part, but they had no answer for a pair of trick plays. New England used a first half fleaflicker to set up a field goal. Then in the fourth quarter, a reverse pass throwback from Julian Edleman to running back James White gained 37 yards, giving the Patriots the ball first and goal at the two.